When Sara Gallegos began hosting Fons and Porter’s Love of Quilting, she stepped into big shoes vacated by the show’s hosts – who also happen to be the creators. Thankfully she was up to the challenge. 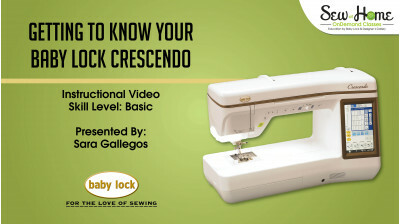 She also hosts Baby Lock tutorials and two other shows on QNN TV: Absolute Beginner Machine Embroidery and My First Quilt. She’s also a retailer and travels around the country, instructing sewers on how to use Baby Lock machines.